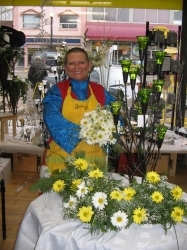 Whether you prefer a traditional, modern, trendy, romantic or unusual and offbeat, at la petite Jaune Fleur we customize flower arrangements with you in mind.We are a locally owned floral gallery delivering courteous, professional service. 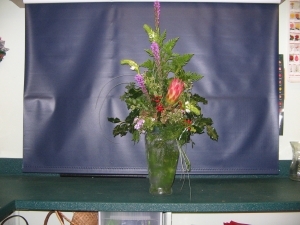 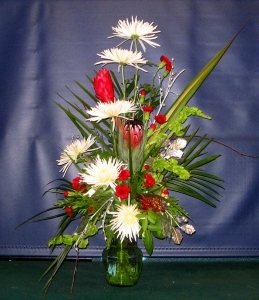 Our experenced designers can create floral designs that will compliment any occassion and meet your budget expectations. 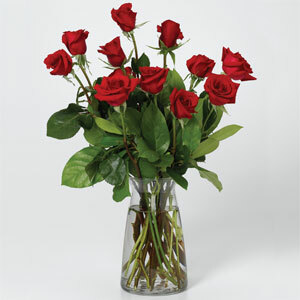 Red Roses with an infushion of color. 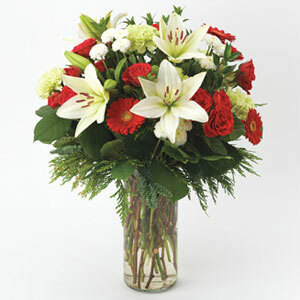 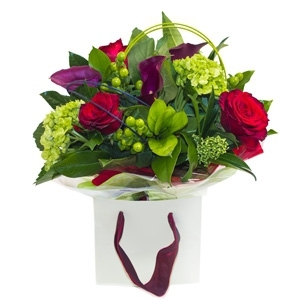 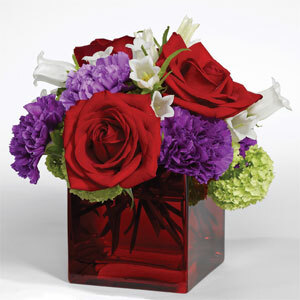 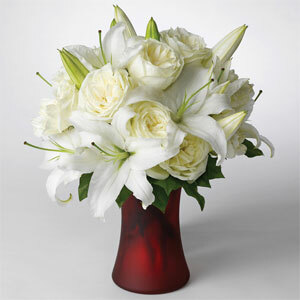 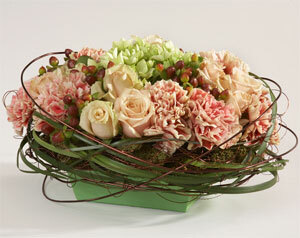 Grand and glorious for Valentines Day: ruby red roses, bright white lilies and verdant greens. 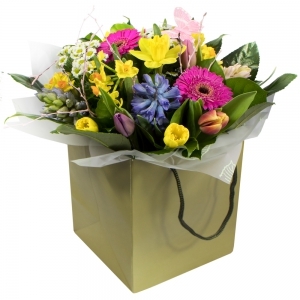 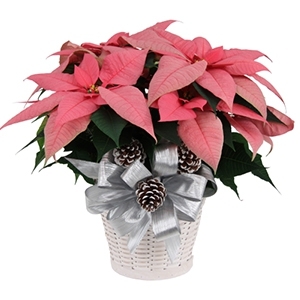 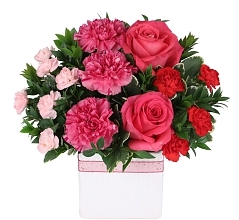 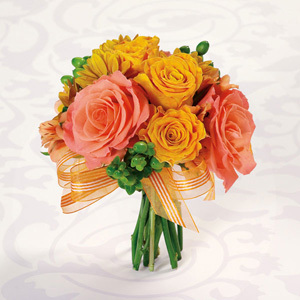 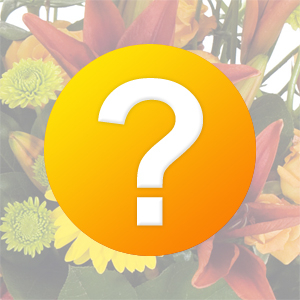 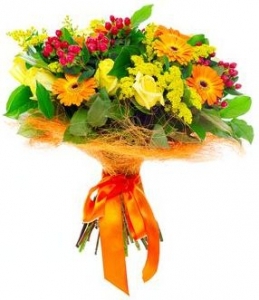 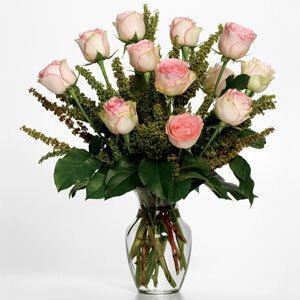 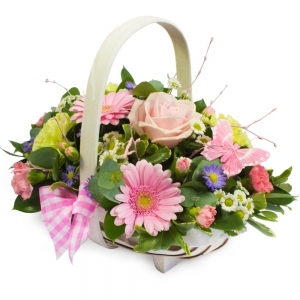 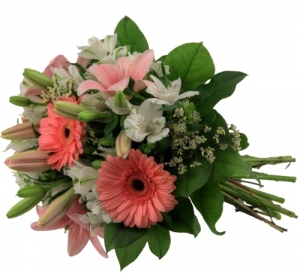 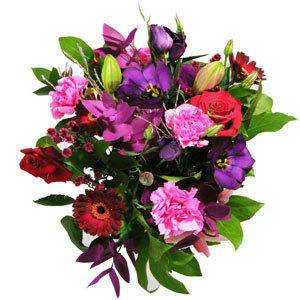 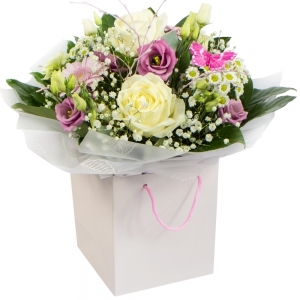 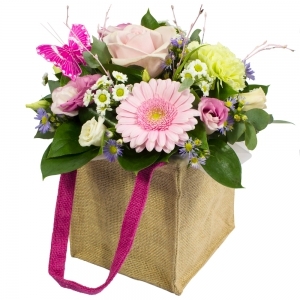 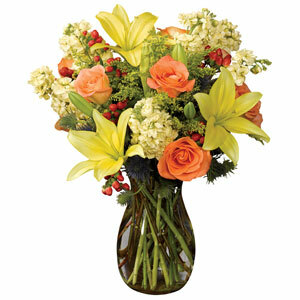 Let this beautiful floral bouquet warm your house her heart this Valentines Day. 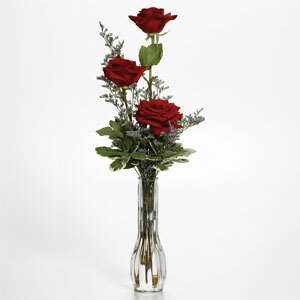 Three stunning red roses and foliage in a lovely glass vase. 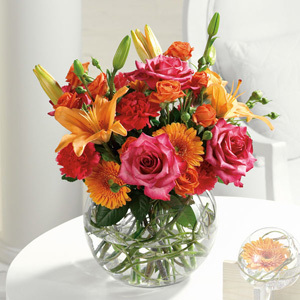 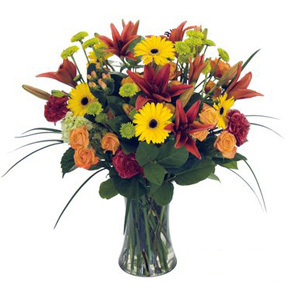 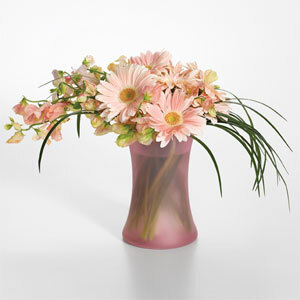 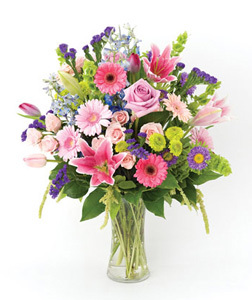 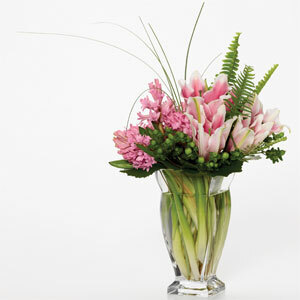 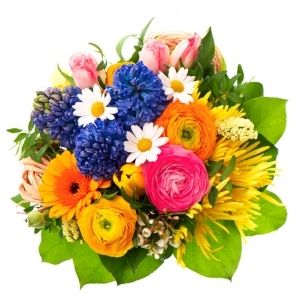 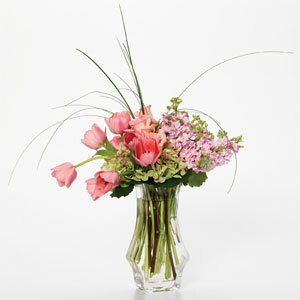 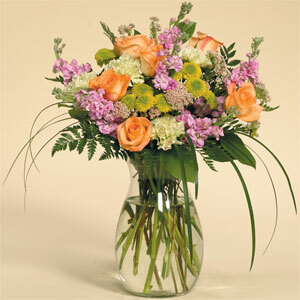 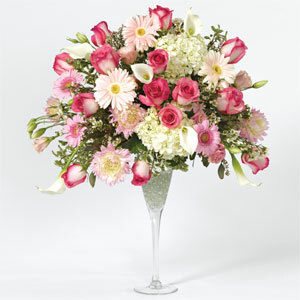 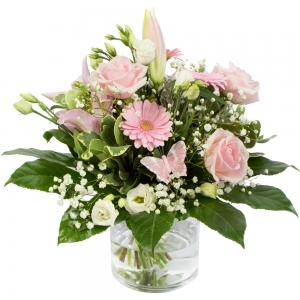 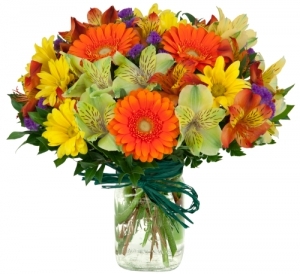 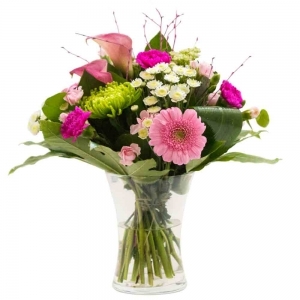 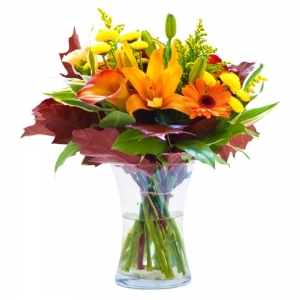 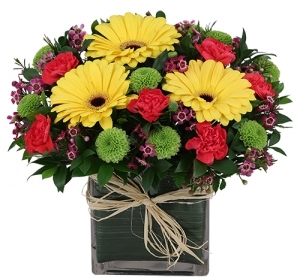 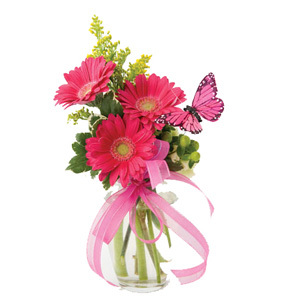 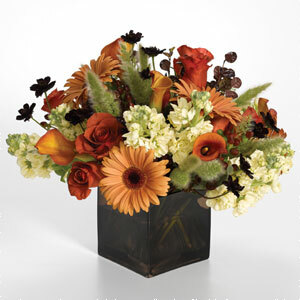 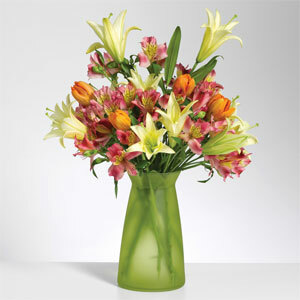 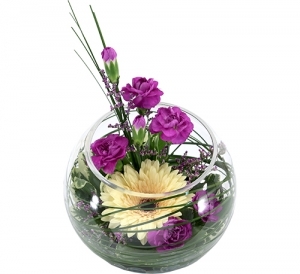 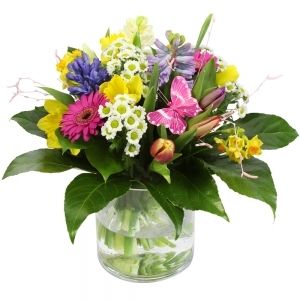 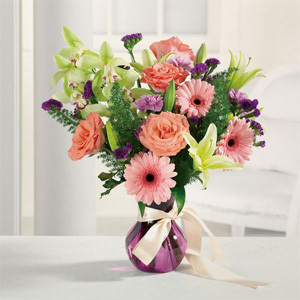 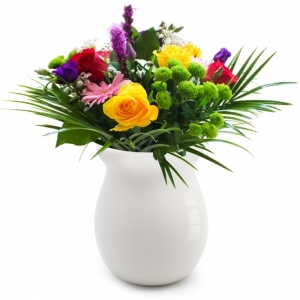 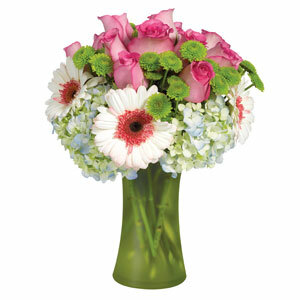 An abundance of colors and flowers arranged to perfection in a glass vase. 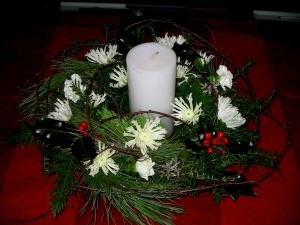 Christmas greens and fresh willow swirl around the white snowflake crysanthunums to create a unique design for the table. 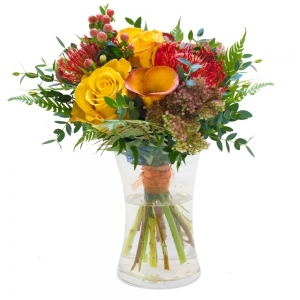 Protea, Ginger and White Fuji's are the inspiration of this custom design by la petite Jaune Fleur. 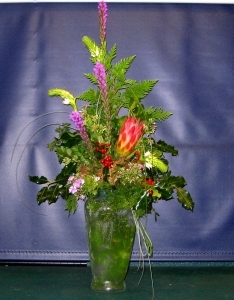 This Protea will bring Christmas from Australia to your home. 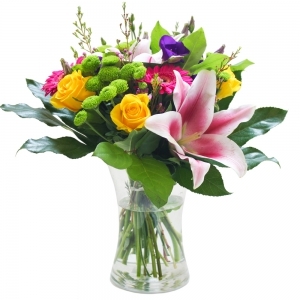 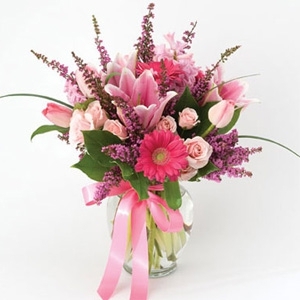 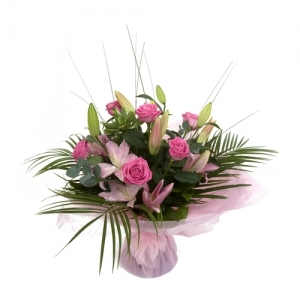 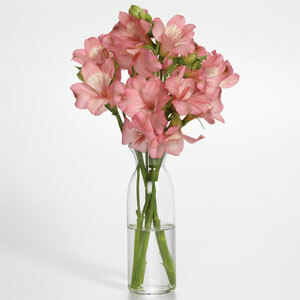 Combined with other wonderful blooms in a clear glass container. 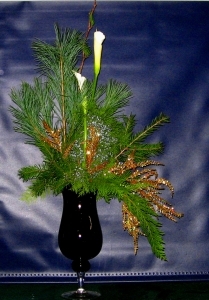 Tall Graceful Calla Lily's are the center of this beautiful design. 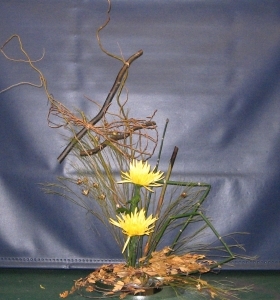 Finished in gold waxflower and placed in a black glass container. 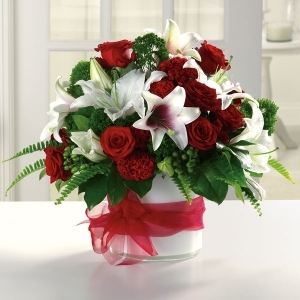 This remarkable selection of extraordinary flowers in rich reds and luxurious whites in an elegant clear vase is a classic way to say I Love You for that special someone. 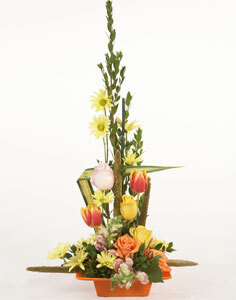 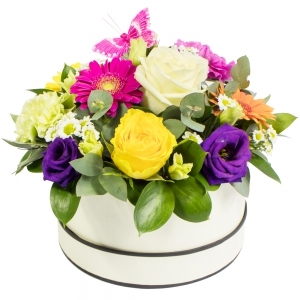 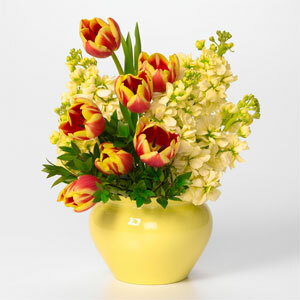 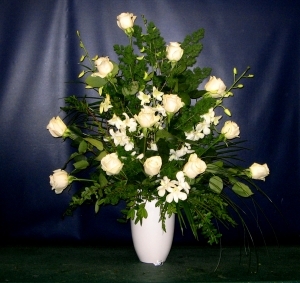 Each floral arrangement is constructed with hand selected fresh cut flowers and will arrive at the peak of perfection.